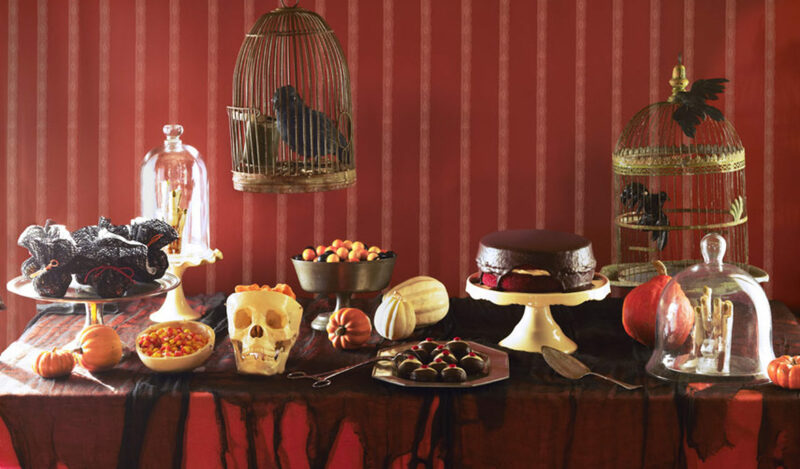 Get your ghoul on with these Halloween décor ideas. Don’t be scared. 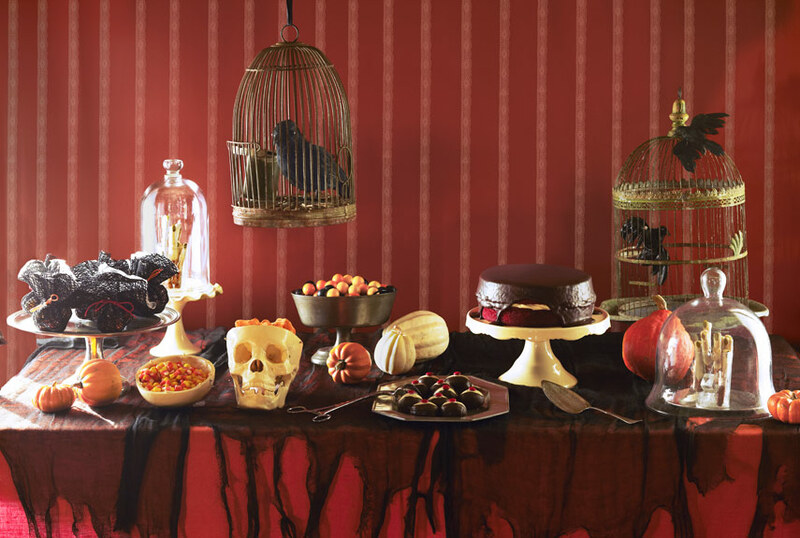 We uncovered a virtual world of ideas to help you throw the best Halloween party ever. Spooky décor can set the tone for a party the neighborhood will never forget. 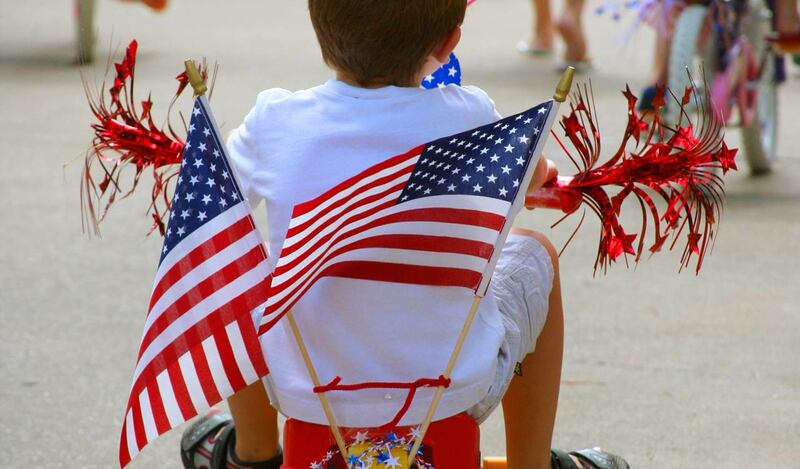 (And people who live in Stepping Stone do enjoy their get-togethers, both at home and as a community. 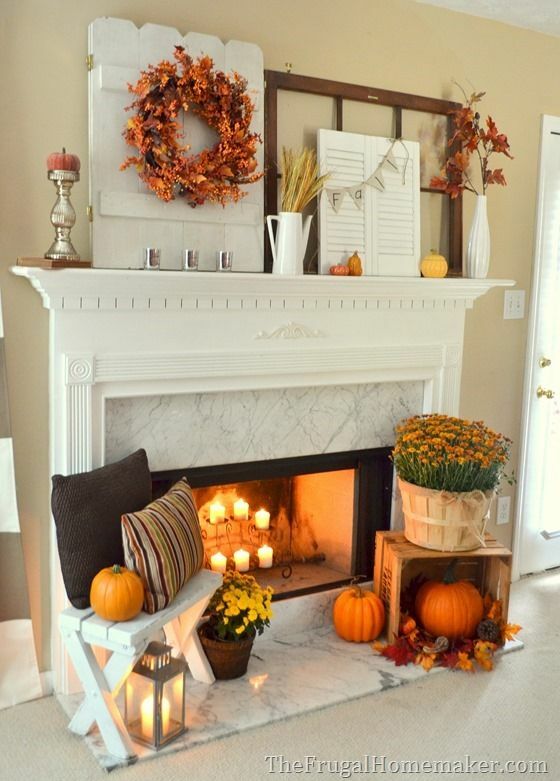 The Stepping Stone Amazing Autumn ideas board can start any party off on the right foot. And speaking of feet…connected to the ankle bone…how about a trail of skeletons climbing up your house into a second-floor window? Find that idea here, along with 10 more easy DIY decorations. Make a tomato cage ghost with a pillowcase and lights. Or a more-funny-than-scary Cousin It out of a haystack and glasses. If you’re watching your budget, be sure to explore these 24 classy, creepy, and cheap Halloween decoration ideas. Get a little macabre and turn an old mirror into a headstone-like menu board using gray and chalkboard paint. Spray-paint a twiggy wreath or pumpkin all black. Or wrap votive candles in black lace for a frightfully flickering effect. 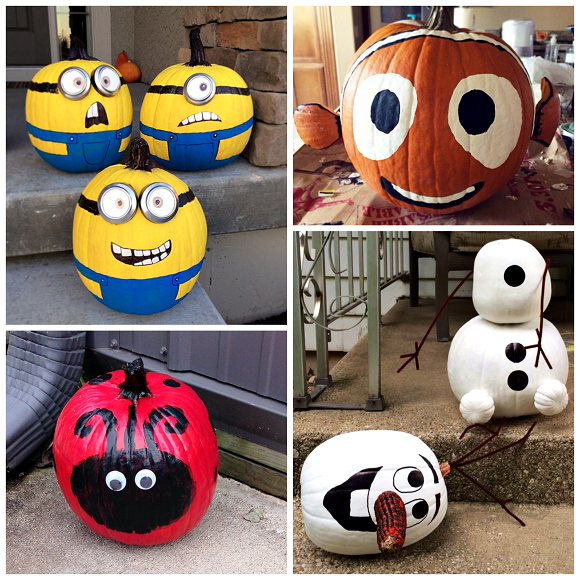 Pumpkins always provide the perfect blank canvas for a party. Download 200+ free carving stencils or take a different (easier) route with these 15+ no-carve pumpkin ideas. Grab an awl, poke some holes in a pumpkin, and stick in an assortment of mums for a pretty pumpkin centerpiece. Country Living also has a few things to say about pumpkins, offering 28 more carving ideas. These include a pumpkin diorama (a perfect project for kids), a planter for succulents, and a painted pumpkin city. This project uses mostly black paint, with just a bit of carving for windows. Quick and easy. And while you have the black paint out, turn a few craft store birdhouses into this eerie mini-landscape. That’s just one idea among 55 decorating ideas from HGTV, including a headless horseman door greeter, a homemade candy corn piñata, and an assortment of hurricane jars filled with candy corn to greet your guests with the classically sweet smell of Halloween. Up your game further with 50 more decorating ideas from Good Housekeeping. Create an ominous display of apothecary bottles (think arsenic, hemlock, eye of newt) filled with wilted flowers. Make shivery 19th century portraits by mounting copies of old photos on somber, coal-colored mats. Not feeling the creepy vibe so much? Go a little more autumnal with a gourd centerpiece, wiring craft-store wire vines around the gourds’ stems and weaving in a faux ivy garland for green contrast. Or, stack festively decorated pumpkins in a topiary on your porch. Creepy or cute, decorations get everyone on board for fun. Happy Halloween!